Anyone have an RTI ramp something similar? 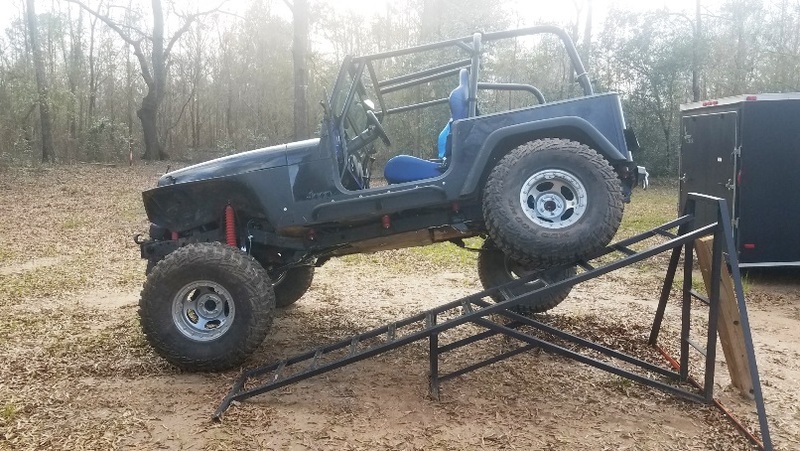 I'm really looking for some kind of ramp where I can legally and safely determine my jeeps new suspension limits and measure for proper shock lengths and bump stops. I was thinking about using an engine hoist with straps attached to the wheels but a ramp would make the job so much easier. 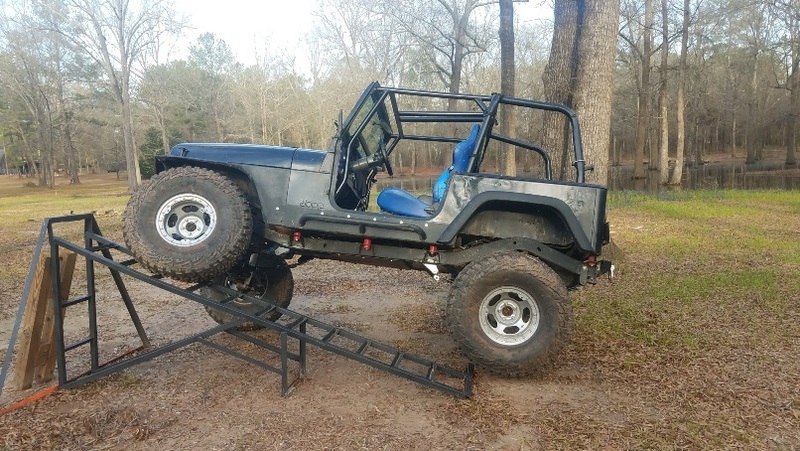 Re: Anyone have an RTI ramp something similar? We do own a ramp, it's not an RTI or even close to the same height but it will flex you enough to see what's going on under there. We need to have another group gathering/wrenching party soon to do some repairs, installs and mods, I was just waiting for it to warm up just a little bit. We can get you on the ramp though, semd me a message and I'll help you coordinate it. The ramp is in my back yard. I was going to get with you when we get a date and time set up. Appreciate the storage Adam! Any chance I could swing by one day this week after work and use the ramp that you're graciously storing? Thanks Adam and Russ. Got some good info today. Most of the project is working well. Some tweaks will be on the list and as the springs settle in, I may need to double check the shocks and brake lines as they are all pretty close. Glad it all worked out, Jeeps looking great! Hope you can get it out on some trails with us soon!